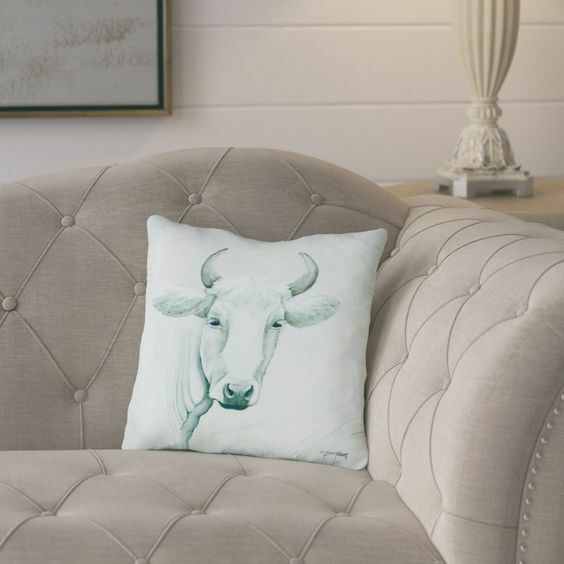 Farmhouse pillows are my weakness. 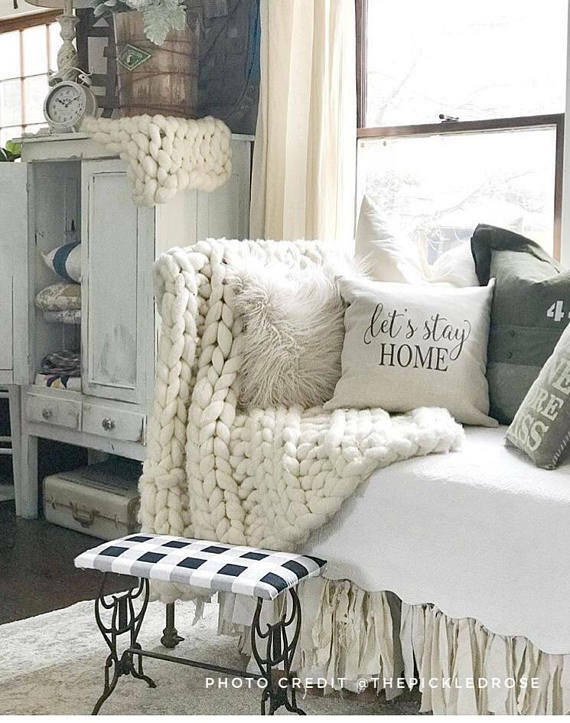 Gorgeous rustic goodness that can be used in any room of your home. Sometimes I feel like I want to buy one of each. I of course don’t have enough room in my home for all of those pillows. But a girl can dream! So I thought I would round up a few of my favorite here and share them with y’all! 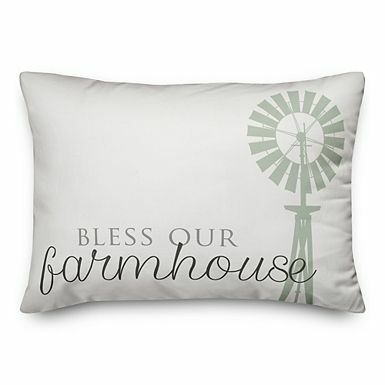 Click on the name of each of the farmhouse pillows below to be taken to a purchase page. The links below are affiliate links which means that you do not pay anymore, however, a portion of your purchase will go to support this site. 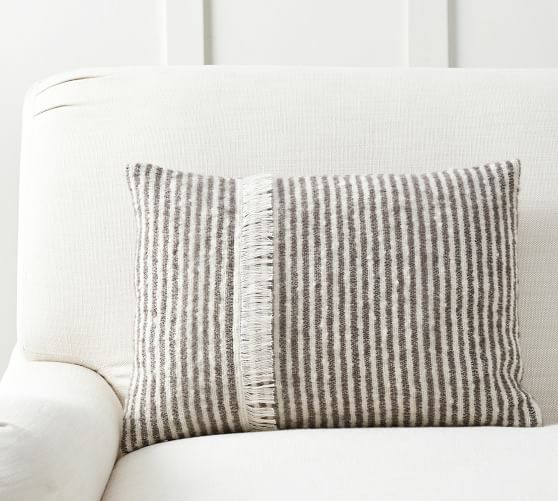 A grain sack stripe is a classic! I love these in all different colors. 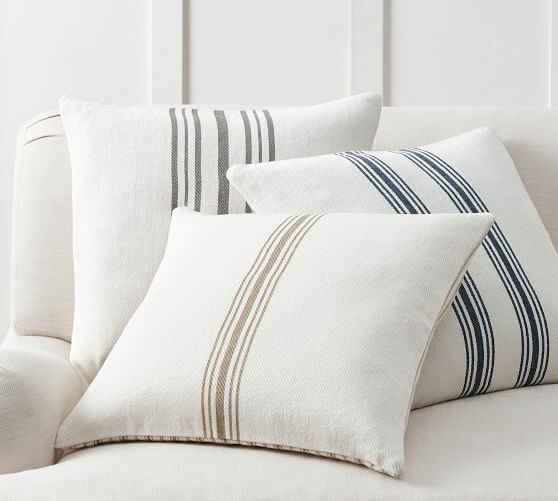 Look for material that looks like this to make your own or pick these up from Pottery Barn. This one with a bit of fringe running down one side has my heart. I am pretty much in love with this entire Etsy shop but I restrained myself enough to pick out just one pillow. 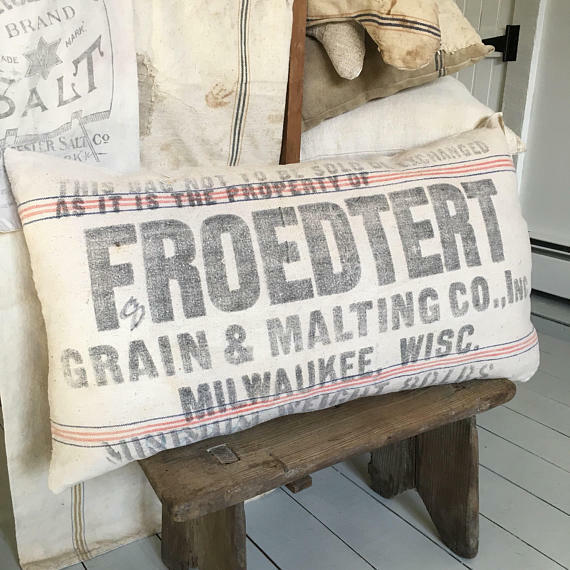 Vintage feed sacks have my heart! You can pick up a pillow pre-made like this one or look for a sack to make your very own. Plaid makes my heart happy any time of the year. 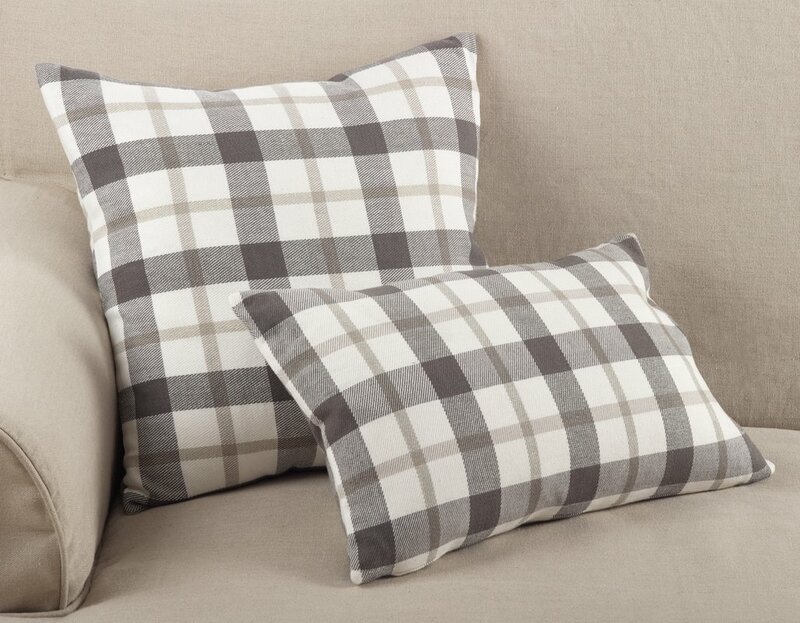 This gray and white plaid would go in just about any room. Cows are so super popular right now! Why not get a pillow with one it? You can also click here to see a tutorial on how to make your own. 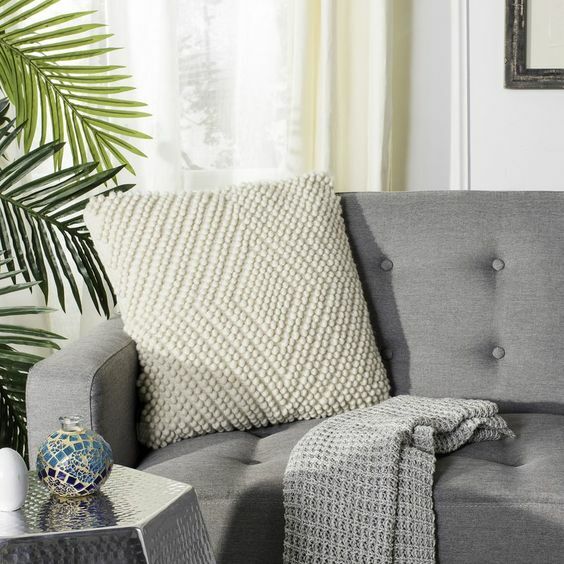 Texture is your friend when decorating. 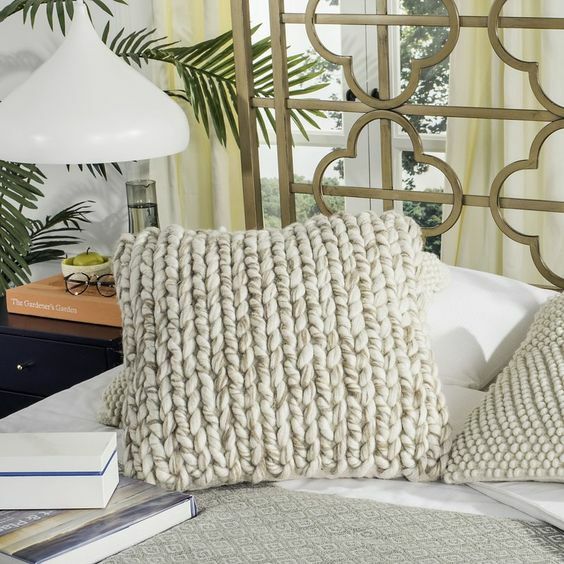 This braided throw pillow is gorgeous and one way to add that into any room. Another texture addition in a gorgeous diamond pattern. 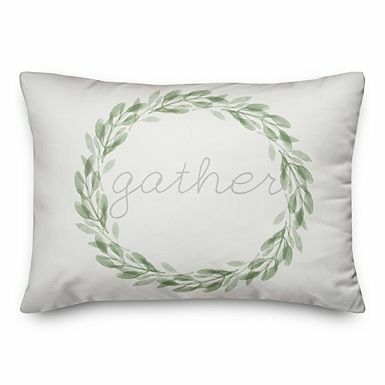 Love the sentiment on this pillow and it is affordable as well. I am always up for a wreath anywhere in my home! 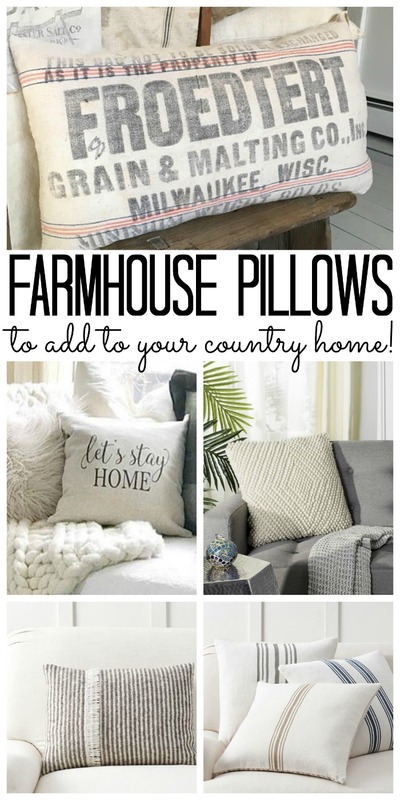 So, which of these farmhouse pillows is your favorite? I am having a hard time deciding myself!